It’s time to acknowledge the walker-friendly Connaught Lane linking Kasturba Gandhi Marg to Barakhamba Road in Connaught Place as a spoilt-for-choice food street. The alley is lined with stalls hawking all sorts of meals from namkeen chaach to banana shakes, chhole bhature to masala dosa and gulab jamun to carrot halwa (in winter). In the summer months of April, May and June the star of the street is Chauhan’s Bel sherbat. The pavement stall draws a huge crowd during the searing afternoon. Office folk from surrounding high-rises, security guards from nearby ATMs, and commuters on their way to the bus stop or to the Metro station often stop by Chauhan’s for a glass of bel juice (₹5, ₹10, ₹15, depending on size). 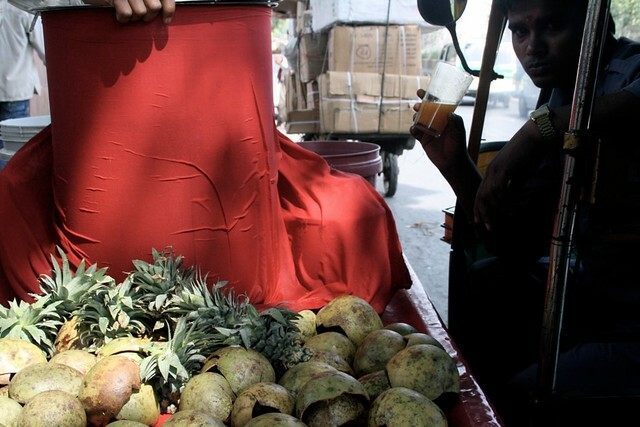 Bel, or wood apple, is considered in ayurveda to be a remedy for the Delhi-belly ailments. It is said to be the favoured fruit of lord Shiva. While freshly squeezed sweet lime, orange, and pomegranate are also popular noonday drinks in Delhi, the bel sherbet is the most filling. 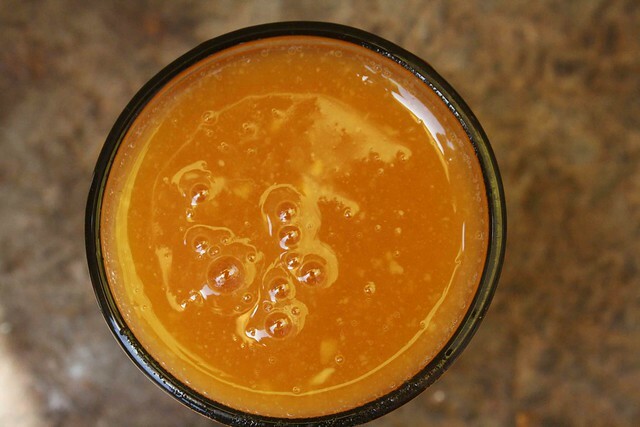 The fruit’s sweet, orange-coloured pulp gives the drink a thick consistency, so different from other watery juices. Its flowery fragrance adds to its delight. 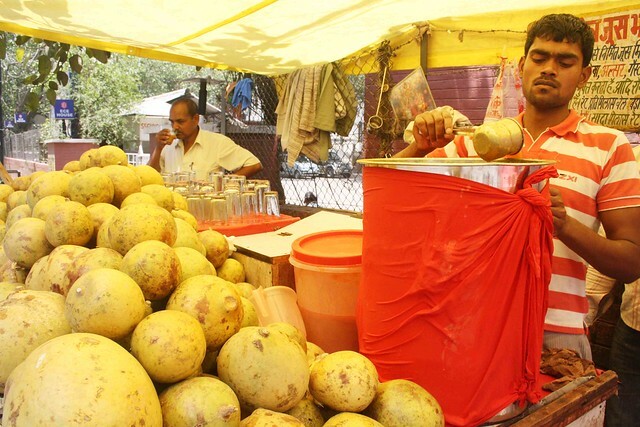 Elsewhere in the city, too, vendors sell ice-cold bel juice either in wide vessels called paraats, or in earthen pots. 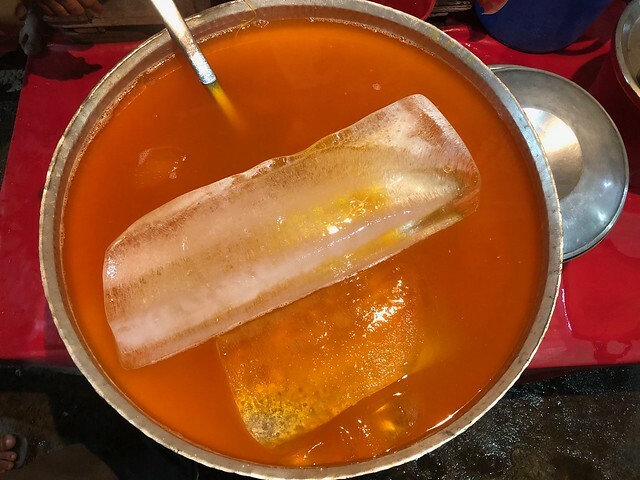 Nafees Khan’s stall in old Delhi’s Chandni Mahal is a visual delight where the sherbet lies floating amid huge slabs of factory ice. The sherbet stall in Connaught Lane was started 20 years ago by Narad Singh Chauhan. These days, his son Manoj runs the show. 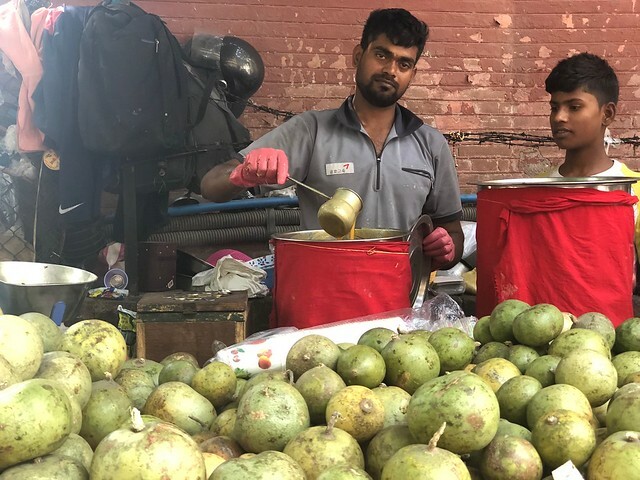 The young man explains that Delhi’s Azadpur wholesale vegetable market mainly receives its bel from places in UP “Meerut, Aligarh and Varanasi side”. However, during the other months, the father and son serve fruit chaat. 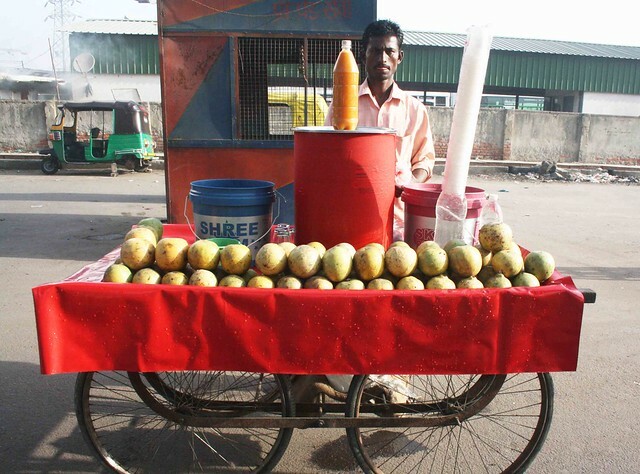 Bel sherbet is best savoured while standing right under the sun, next to the stall. 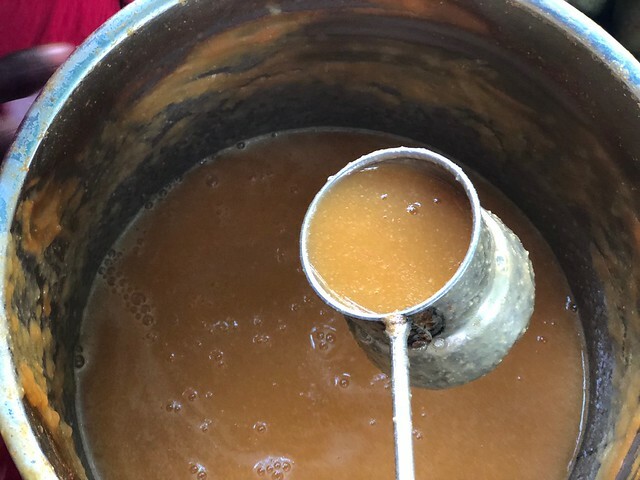 As the body simmers with heat, the very first sip shocks the senses into sudden coolness, making the spirit-killing summer of Delhi bearable… for some time.